Window cleaning is an essential part of property maintenance and can keep the outside of your house looking beautiful. 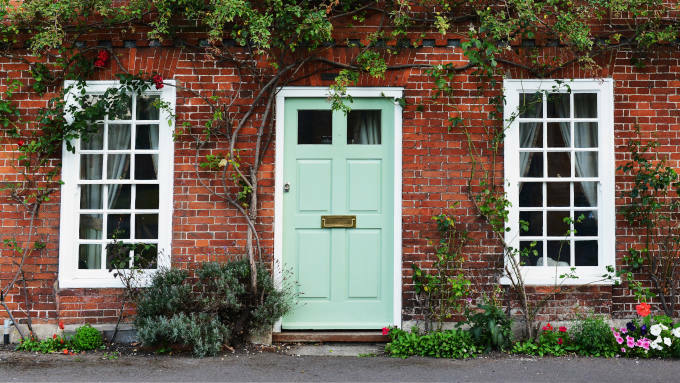 If you live in a traditional property, you’ll need to think about how best to look after your windows. Period windows require care and attention and tend to be cleaned differently to modern UPVC windows. In fact, cleaning techniques for modern windows could cause damage to traditional windows and the frames. If you have traditional windows and are thinking about cleaning them yourself, take a look at some of our tips for cleaning period windows. When people think of window cleaning, they tend to think about the glass but forget about the window frames. Cleaning and maintaining frames can be tricky, but they are a key part of any window and are often vital to the look and feel of traditional, period windows. There are also different techniques to consider depending on the finish of your windows. For painted windows, you will want to use a soft brush with a little bit of washing up liquid. Rinse the windows afterwards with warm water, gently using a soft cloth to clean up the rest of the cleaning solution. If the paint is cracked, you may want to consider repainting and decorating them to keep them in good condition. Stained windows will need to be cleaned carefully to keep them looking beautiful and to preserve that traditional aesthetic. Use a soft, brittle brush to remove excess dirt, and make sure to avoid using bleach. Once the dirt is cleaned up, use a mix of warm water and washing up liquid with a soft cloth to finish up. The same techniques can also be used for varnished window frames. If you’re trying to clean a varnished window frame but find that certain stains or marks can’t be cleaned, you may need to try something more than just a bit of warm water. Try using a fine sandpaper on the top layer of varnish and reapply as you continue. Need a hand? Call the professionals! 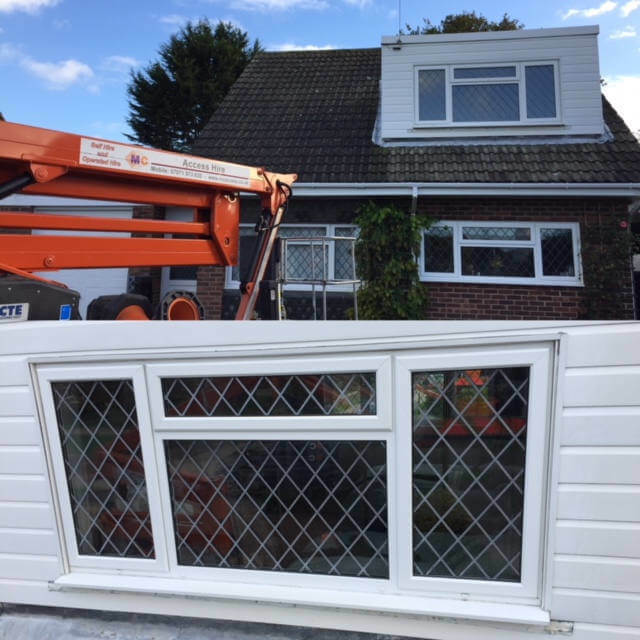 If your period windows are too high up, or you need help maintaining them, you could always contact a professional company to help look after your windows. Here at MC Property Maintenance, we have many years of experience offering a wide range of high quality property maintenance services. We have also worked on a number of listed buildings and historic structures, helping to preserve and clean exteriors of traditional homes. Give us a call on 01243 530 076 and get in touch with us today to find out how we can help. If you’re working on a project that requires you to get up high, you will probably need to think about hiring a cherry picker so that you can reach the space you need to work on. However, if you’re not experienced with cherry pickers, you might not feel so sure about using one yourself. Even if you have used one in the past, it can still be beneficial to think about operated cherry picker hire. 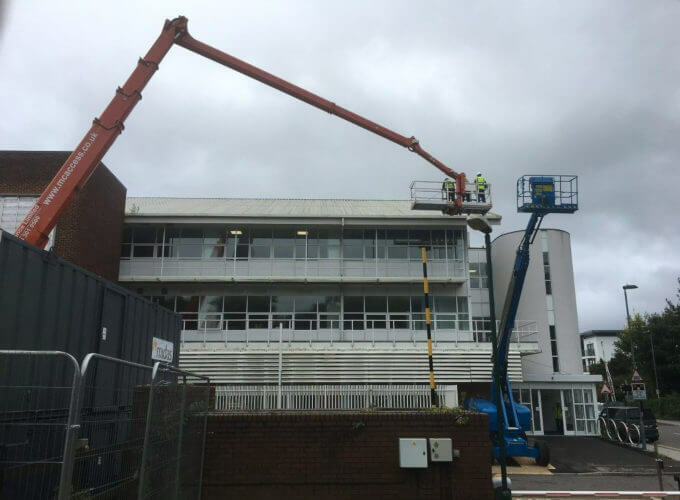 Keep reading our blog to find out about some of the benefits of operated cherry picker hire. 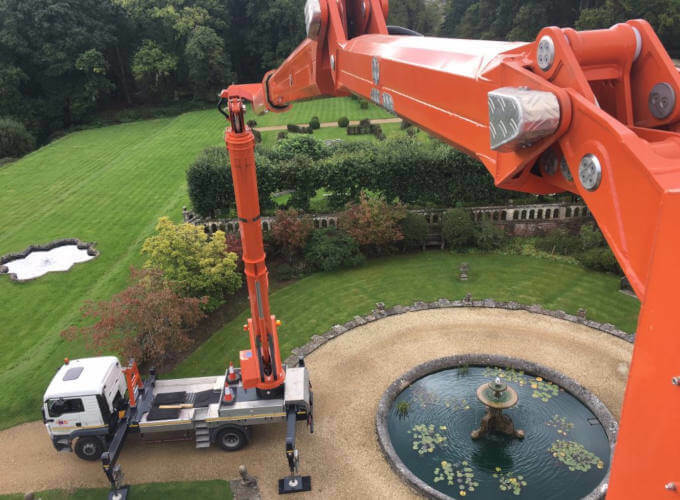 As well as taking care of getting to those tricky to reach places, operated cherry picker hire is perfect for an extensive range of projects. Whether you’re working on a domestic project or a commercial site, an operated cherry picker can help. A qualified operative can help save you time on a whole range of projects including maintenance, building inspections, window cleaning, plumbing, gutter cleaning, tree surgery and much more. If you’re considering using an operated cherry picker hire service, think about your project beforehand. This way, the operative can come with the right equipment and the best cherry picker for the task at hand. They can then help operate the cherry picker, helping you get the job done quickly and efficiently. Not everyone is qualified to operate a cherry picker. Some cherry pickers and high access equipment require the right training to use. Others such as cherry pickers under 3.5 tonnes will require a full driving licence in order for you to be allowed to operate them. If you don’t have the proper qualifications, then you should consider operated cherry picker hire. Whether you’re qualified or not, operated cherry picker hire can still be very helpful. An operative can help deliver the cherry picker and help get it set up and ready to use. Of course, you also won’t have to worry about operating the cherry picker. This lets you get the job done easily without having to worry about getting the cherry picker into place. 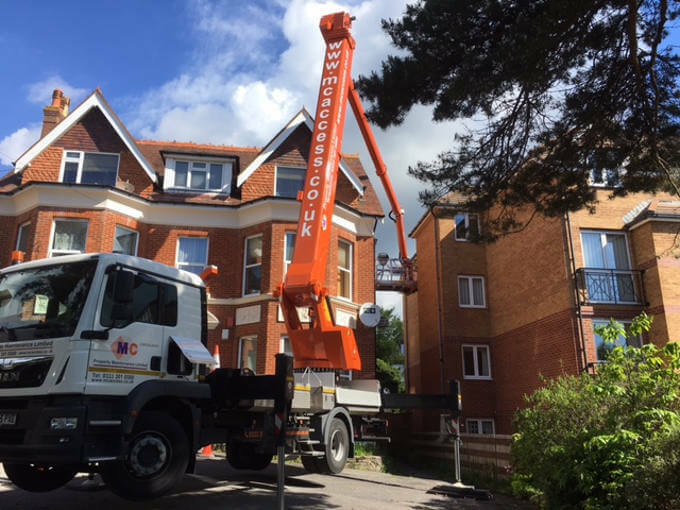 If you are working on a project and are interested in operated cherry picker hire, don’t hesitate to get in touch with us today. Our IPAF qualified operators are highly experienced and can provide you all the help and support you need while on site. For more information on our operated cherry picker hire services, contact our friendly team now on 01243 530 076. Our knowledgeable team can help you find the best solution for your project and provide expert operated hire services across the South of England. MC Property Maintenance offer a complete range of high-level cleaning, painting and decorating services. In addition to commercial and private properties we’re also experts in cleaning and preserving the exterior of listed buildings and historic structures. 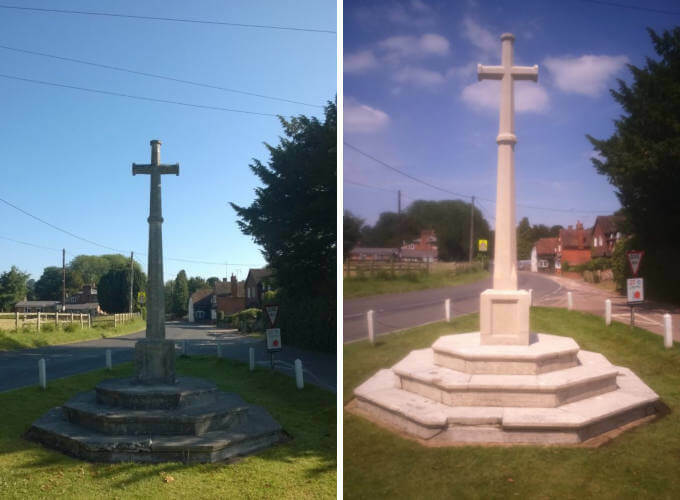 Here’s one of our recent projects – what a difference! To preserve listed buildings of historic or architectural importance, we offer a chemical free, steam cleaning solution to provide an exceptionally deep clean. Our DOFF cleaning system can be used to clean stone and masonry with high temperature steam that’s gentle on the surface and uses low levels of water. Without exerting damaging pressure, thermal shock or deep saturation, even delicate exterior surfaces can be treated in this way. 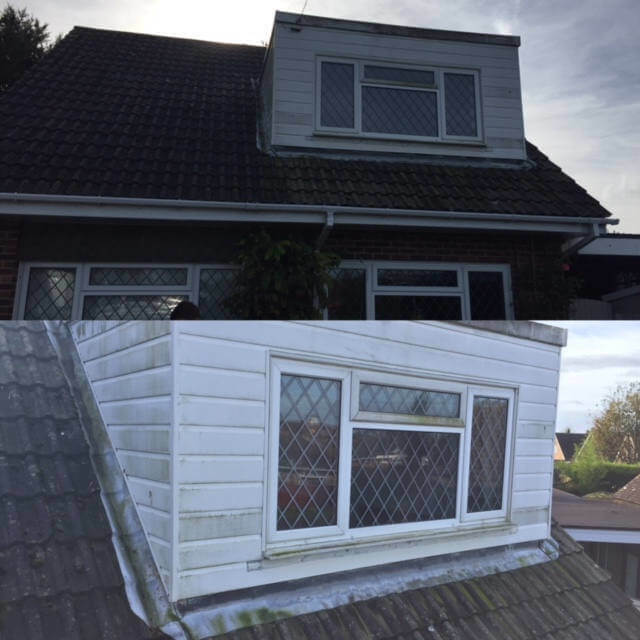 A before and after picture of a little job we did for a client in Bognor Regis. Our operator made easy work of this, after they discussed their requirements with our office team and the right cherry picker was quickly dispatched. We were asked to help on this job in Southampton, the outreach on this job was essential, we said no problems when do we start.